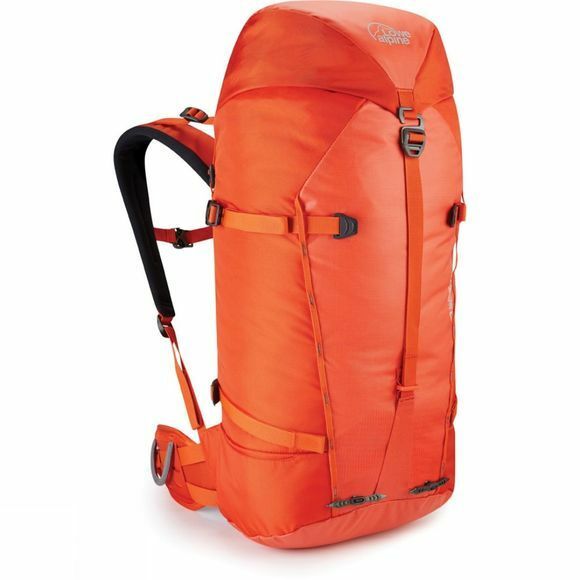 The Alpine Ascent 40:50 Rucksack from Lowe Alpine is a lightweight rucksack and is ideal companion for alpine peaks, winter climbing and summer rock routes. It is compatible with harnesses with loops for your gear, compression straps and a rope strap under the lid. It is designed to take on snow and ice with a unique double HeadLocker ice axe attachment system, mitt-friendly winter buckles, a strap for your crampons, and slots for your ice screw krabs. The Moulded back system offers a comfortable and supportive wear with grip panels for stability of heavy loads and snow shedding.